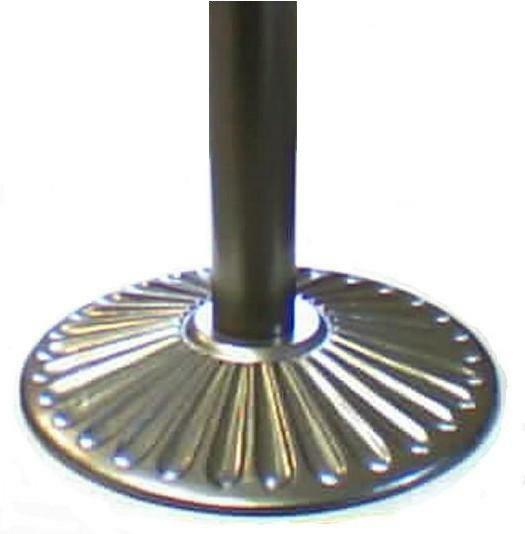 Round Spoon styling with black surface. 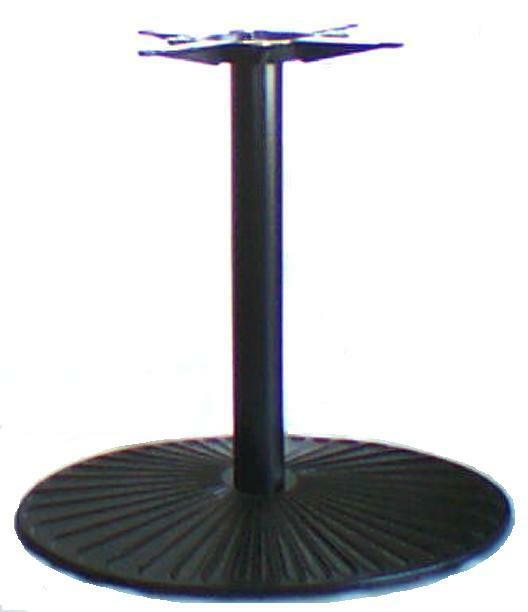 - Round Table Base Sizes 17", 22", 30". 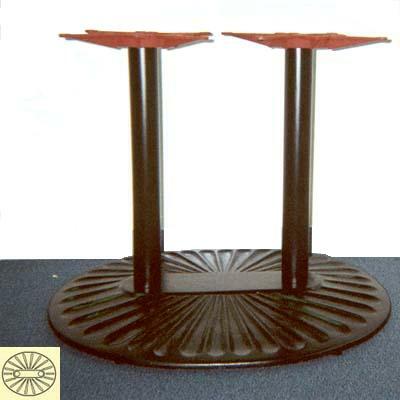 - Oval Table Bases 22"x 30" & 30"x 36"
Determine the right table base for the size and shape of your table top below. For assistance please email us with your request. 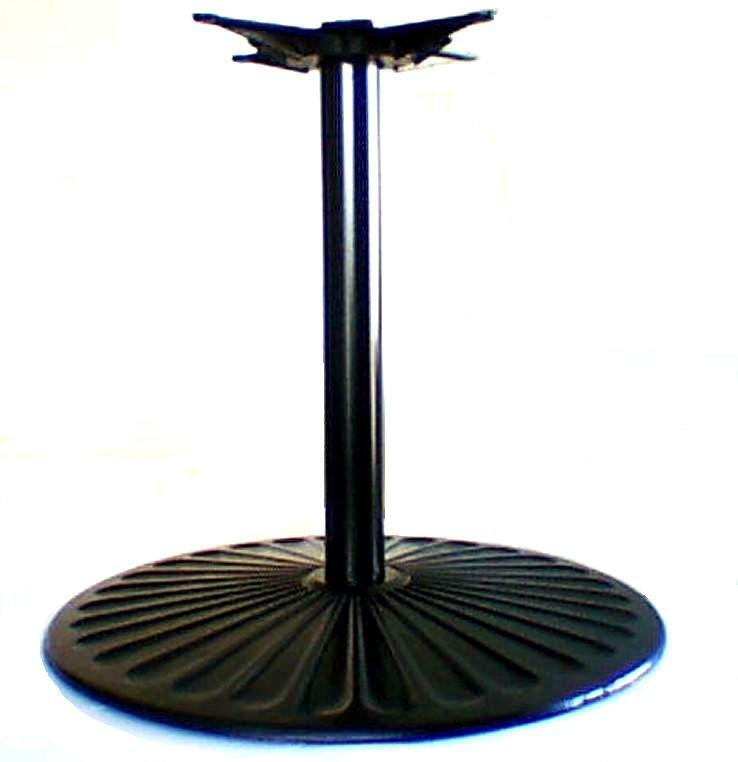 Square tables - up to 30"X30"
Rectangular tables - 1 Base: 18"x24" to 24"x30", 2 Bases: 24"x60" to 30"x84", 3 Bases: 24"x96", 30"x96"
Maximum Table Top size at Bar height 24"
Maximum Table Top size at Bar height 36"
Maximum Table Top size at Bar height 30" x 48"
Square tables - 42"x 42" up to 58"x 58"
Rectangular tables - 1 Base:36"x 42"to 42"x 60" 2 bases 36"x 96"
Maximum Table Top size at Bar height 54"
Oval Table Base M7036 designed for large conference room or library oval table top. 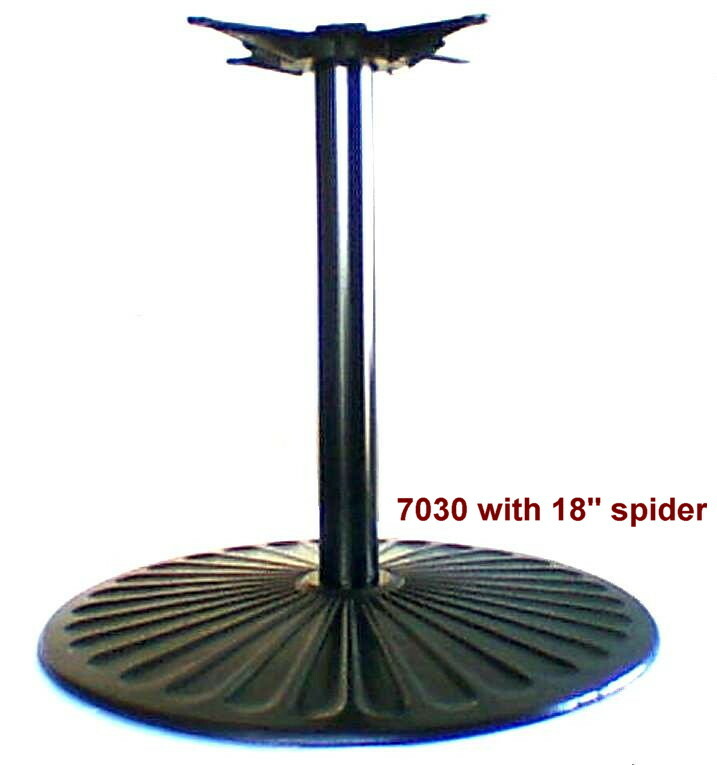 Round tables - up to 72"
If your table size does not fall within these specs, please contact us for recommendations or download Table Base Size Recommendation.pdf.